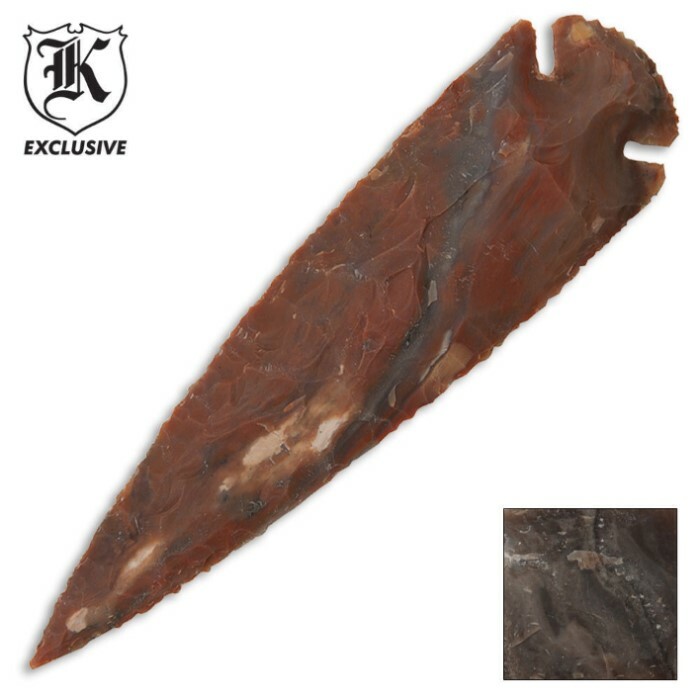 Handmade Agate Stone Arrowhead Spearhead Contemporary | BUDK.com - Knives & Swords At The Lowest Prices! 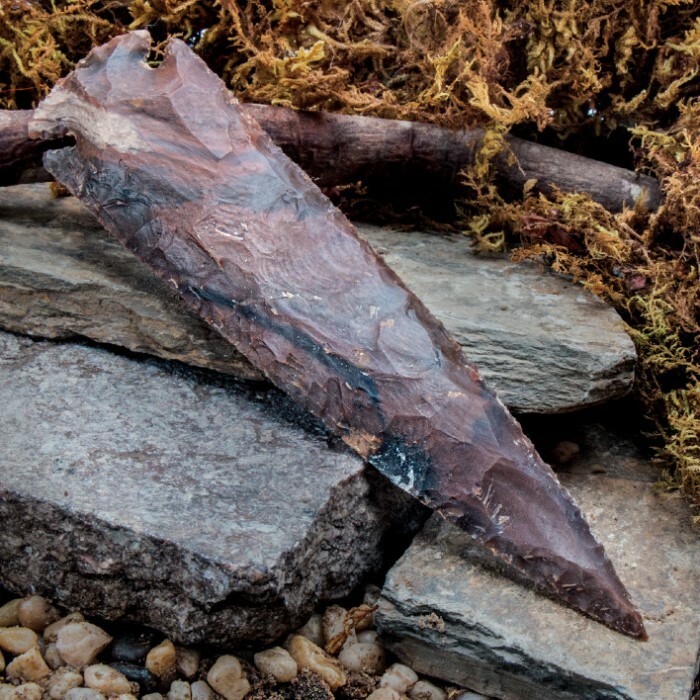 Our arrowheads are contemporary and handmade from agate and jasper that is more than 1,000 years old. Agate is a microcrystalline variety of quartz, characterized by its fine grain and brilliant color. Although agates may be found in various kinds of rock, they are classically associated with volcanism but can be common in certain metamorphic rocks, as well. One arrowhead per bag. Colors may vary. Approximately 7" overall. Great edge and point. as advertised. I would buy more.